When I was in high school, I took a consumer education proficiency test and passed it with flying colors, demonstrating that I had the knowledge needed to manage my own money and be a savvy shopper. Within ten years, I was buried in debt. Many others didn’t recall any sort of education, which either means there literally wasn’t a class or the class had so little impact on them that they did not recall it at a later date. Simply put, personal finance education as it currently exists is not reaching people when they need it. Quite often, they learn about it later on through their own difficult experiences. In fact, I think “experience” is the key word here. Consumer education and personal finance education is often lumped in with many other classes at the high school level. They’re taught in a classroom environment with minimal examples that actually impact the lives of students in any way. Sometimes it’s a class all its own, but other times it’s just a small piece of another class and at yet other times it’s not dealt with at all. Just like any other ordinary class, one or two will “click,” a handful of others will approach it like any other academic subject and succeed on the surface without deeply understanding it, and many others will let the info go in one ear and out the other, retaining as little as possible. Simply put, treating personal finance as just another thing that students need to be “educated” in doesn’t really work. How can we possibly make personal finance education relevant (beyond the simple step of making sure that it’s at least presented)? Over the past few years, I’ve been collecting ideas from the mountains of personal finance books I’ve read, and I’ve got some suggestions for how to turn personal finance education into something much more valuable than the experiences described above. First, homework (and classwork) should focus on . . . In an appalling 5-4 ruling, the U.S. Supreme Court confirmed and even strengthened prosecutorial immunity, extending it from personal immunity to a stronger form of agency immunity as well. The case is Connick v Thompson, where Connick is the former Orleans Parish District Attorney Harry Connick, Sr. (yes, father of the crooner) and Thompson is John Thompson, a man falsely convicted of murder because Connick’s office hid a report that ultimately exonerated him. The prosecutors admit to that, by the way. There is no controversy over whether they violated the law and their ethical obligations and railroaded an innocent man, who was only weeks away from being executed for that crime he did not commit when the report that proved his innocence was discovered and used to overturn his conviction. The prosecutors admit withholding the evidence. Thompson then filed suit against the DA’s office, showing that Connick had failed to provide training for his prosecutors on the illegalities of withholding evidence. A jury found the office liable for that negligence and awarded Thompson $14 million in damages for the 14 years of his life spent behind bars and facing the death penalty. The appeals court affirmed that verdict. And the Supreme Court has now overturned it. The reason? A district attorney’s office may not be held liable under §1983 for failure to train its prosecutors based on a single Brady violation. It was only one guy! Plaintiffs seeking to impose §1983 liability on local governments must prove that their injury was caused by “action pursuant to official municipal policy,” which includes the decisions of a government’s lawmakers, the acts of its policymaking officials, and practices so persistent and widespread as to practically have the force of law. A local government’s decision not to train certain employees about their legal duty to avoid violating citizens’ rights may rise to the level of an official government policy for §1983 purposes, but the failure to train must amount to “deliberate indifference to the rights of persons with whom the [untrained employees] come into contact.” Deliberate indifference in this context requires proof that city policymakers disregarded the “known or obvious consequence” that a particular omission in their training program would cause city employees to violate citizens’ constitutional rights. Okay, so it has to be an official policy. And it can only be an official policy if they knew that the obvious consequence of their actions would be to violate the rights of citizens. So is the argument here that the prosecutors didn’t know that withholding evidence of Thompson’s innocence would violate his rights? The whole point of doing so was to lock him up and eventually put him to death, for crying out loud. The 5-4 ruling was predictable — Thomas, Scalia, Roberts, Alito and Kennedy in the majority, the court’s four liberals in dissent. You can read the full ruling here. Remember when Clarence Thomas, during his confirmation hearings, talked about those buses full of convicts that he saw go by his office in DC and how, because of his background as a poor young black man, he would show more compassion to their situation because, but for the grace of God, there went he? Neither does he. His message to John Thompson: Sure, the government ruined your life and violated your rights. Tough. You’ll get nothing. And like it. After years of dreaming about having an organic farm—or at least a huge garden—I finally have some land to plant, and feel daunted by all that empty space. 1. Don’t be afraid to ask. If you know where you’ll be farming, contact other farmers in the area. Offer to pitch in on their farms, or at least invite them for a cup of coffee: they’ll likely be able to pass along invaluable tips on climate, soil conditions, crop varieties, and more. 2. Leave your ego at the door. You’ve picked all the local farmers’ brains, and you’ve read all the books—but it will still take time to become a master farmer. Farming has an unusually long learning curve. Mike Nolan, who grows winter storage vegetables at Fort Lewis College Field Station in Hesperus, Colorado, points out, “Unlike other professions, farmers can usually only do anything once in a given season. Say you’ve been farming for twenty years, you’ve only done it twenty times.” And that’s barring the occasional drought, or record rainy season, or grasshopper plague, that you might deal with only once in a decade, or a lifetime. So hang onto your patience and humility, and get ready to be a permanent beginner. 3. Start now. . . .
A few weeks back, I was reading the latest issue of Oxford American, which excerpted this badass letter writer Eudora Welty sent to the editors of The New Yorker. Welty wanted a job at The New Yorker and she didn’t seem the least bit reluctant to pull out all the stops to get the editors’ attention. There aren’t a whole lot of writers–then or now–who could pull off that type of letter, much less use it to develop a long and satisfying personal and professional relationship with an editor. If you’re as much of a self-possessed badass as Welty, then you won’t need these tips. But if you’re confused by some of the dynamics of the writer-editor relationship (especially those dynamics characterized by the editor dropping the ball), then this one’s for you. 1. They don’t respond to your pitch or query. Don’t take an editor’s lack of response personally, and don’t take it as an indication that your idea has been rejected. Email gets stuck in spam folders. Messages read quickly don’t get revisited and fall to the bottom of the inbox. A busy editor is vaguely–or even very– interested in your query, but gets distracted by events and pitches that are more timely. Follow up with a polite email asking the editor if he/she had a chance to read your query. Include the date you sent the original message and paste in the query again so the editor doesn’t have to look for it. Don’t do any of this, though, until you’ve given the editor sufficient time to reply to your original message. Most publications specify typical response times in their contributor guidelines; when they don’t, anywhere from four to eight weeks is a standard time frame. 2. They make decisions based on emotions or without sufficient facts. Accept that editors make decisions based on a variety of subjective factors, many of which have nothing at all to do with you. Rather than fight this fact, the best way to handle this situation is usually to just move on. If an editorial relationship is contentious from the beginning, it’s not likely to improve. 3. They change words in your story- or even reshape it entirely. How to respond . . .
We have a confession. Here at AbeBooks, we know very little about steampunk even though it has been widely acclaimed as an inventive and original genre of fiction. Steampunk appears to be speculative fiction with a lot of dirigibles, old fashioned flight goggles and corsets thrown in for good measure. All that Victorian clothing and steam-powered robots suggests science fiction with a dash of fantasy. I decided to investigate. The creation of the ‘steampunk’ term is usually attributed to the science fiction author K.W. Jeter, who used it in a letter to Locus Magazine. He was trying to find a way to describe Victorian fantasy novels like those written by himself (Morlock Night and Infernal Devices), Tim Powers (The Anubis Gates) and James Blaylock (Homunculus). He believed more people would be interested in this kind of writing if only there was a general term that described it as a genre. “Something based on the appropriate technology of the era; like ‘steampunks,’” Jeter wrote. The label stuck and those early works helped define the genre. It’s still inadequate to explain away this genre as ‘Victorian Fantasy.’ The most common steampunk theme is to show a world where humanity, usually set in the Victorian era, has adopted a line of technology from the future. A good example would be . . .
Continue reading. That last sentence: Why the subjunctive? Why is the example he offered not a good example (but “would be” only if… what?)? 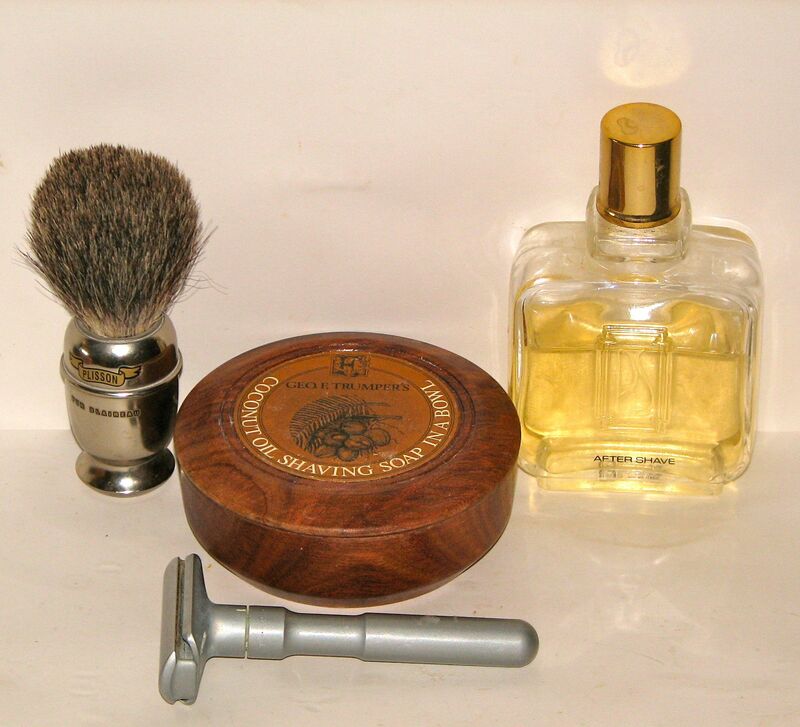 Same shaving implements as yesterday, and again Geo. F. Trumper Coconut Oil, but today his shaving soap rather than his shaving cream. Today’s shave is at least equally good, if not better. I find that I prefer shaving soap to shaving cream, though certainly shaving cream has many fans. Three passes, smooth face, and a nice splash of Paul Sebastian aftershave. Great gift for bar mitzvah, for graduation, for Father's Day (16 June 2019), for birthdays, ... for guys who shave but do not yet enjoy the task. User comment: "I bought this as a gift for my fiancé, along with a wet-shaving starting kit and a safety razor. He DEVOURED this book, and finds himself reading it again and again. He finally enjoys shaving. 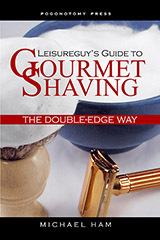 This book has helped him figure out so many things about wet shaving, and has recommended it to all of his friends and family. 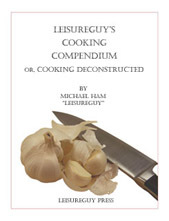 Truly a great source of information for any man." A perfect gift for men who answer "Yes" to "Do you shave most days?" and "No" to "Do you actually enjoy shaving?" Change their life in one small way. The book has a Facebook page with shaving tips. Baltimore Coffee & Tea Co.